This December, witness one of the most important elections in the history of Venezuela, and of the hemisphere. On December 6, the people of Venezuela will exercise their right to vote in elections for deputies to the country’s National Assembly. 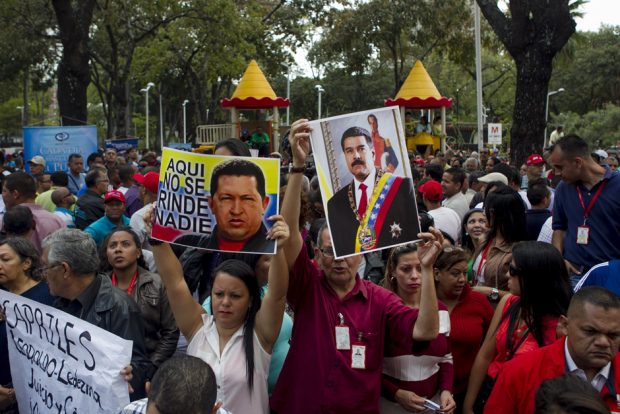 Voters will decide whether to carry forward the Bolivarian Revolution by retaining a Chavista majority in the National Assembly or return the political intitative to the traditional elites represented by most of the Democratic Unity Roundtable (MUD). The stakes are high. Venezuela has been in the forefront of regional integration and independence from U.S. hegemony and push back against the neoliberal agenda over the past sixteen years and it has supported the building of a multipolar world. It has also been a leading force, since Chavez was elected president in December 1998, against the further propogation of those free trade agreements that would compromise the public nature of human services and diminish the sovereignty of participating nations in favor of transnational corporate interests. Despite the current fall in petroleum prices, Venezuela has resisted austerity, declined to roll back progressive labor laws and the land reform, and increased social spending targeted to the most vulnerable sectors. For all of these reasons, this will be one of the most closely watched elections in the world. Come witness it from the inside and lend your solidarity to the people of Venezuela as they shape their own future, in the face of episodic attempts at extra constitutional regime change, escalating aggression from the US, which has proclaimed Venezuela as an “unusual and extraordinary threat” by executive order, as well as an “economic war” against the people waged by the country’s elite. Participants in this delegation will learn about Venezuela’s electoral process and witness participatory democracy in action through meetings with community councils and other grassroots groups in Caracas and the neighboring states of Aragua and Miranda. The group will get a first-hand glimpse of the various areas of social transformation taking place in Venezuela, despite the economic challenges, including in education, healthcare, food sovereignty, and alternative media. The delegation will also include trips to touristic sites of interest. Cost for Activities: $1100. This will cover all lodging, all ground transportation, 2 meals per day, qualified trip leaders, and Spanish-English interpretation. Additional expenses during the trip will be minimal. Airfare not included. To Learn more and hold a spot, email cbalbertolovera (at) gmail.com. Please be in touch as soon as possible, as space for this delegation is very limited. Please allow several days for responses.